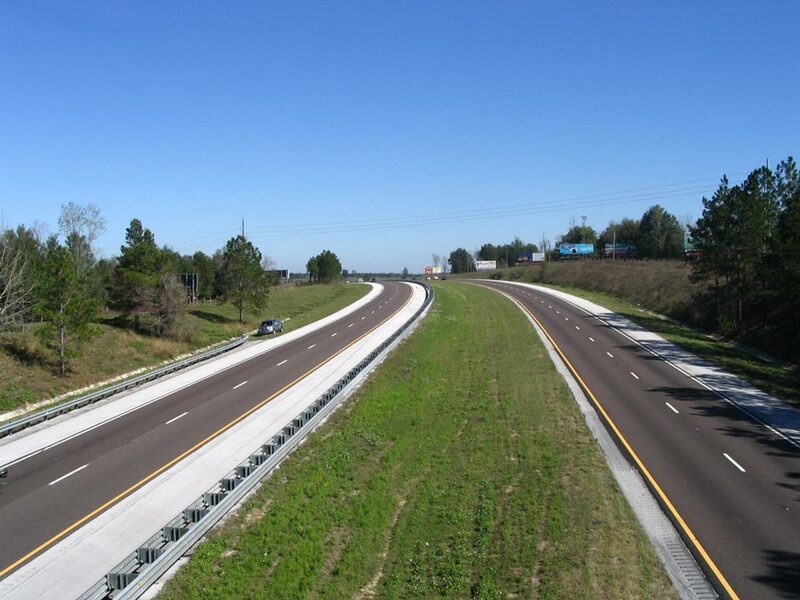 This project consisted of widening 8.43 miles along I-75 from the Pasco/Hernando County line to north of SR 50 (Cortez Boulevard) in Hernando County. The proposed improvements called for widening the existing four-lane divided interstate highway to six lanes and resurfacing the existing lanes. This project also included reconstruction of the I-75/SR 50 (Cortez Boulevard) interchange from a Conventional Diamond to a Single Point Diamond with a northbound to westbound flyover ramp from I-75 to SR 50. Right-of-way acquisition was required, along with stormwater management facilities and mitigation sites. Other features of the project included signing and pavement marking and highway lighting.